Color Therapy! 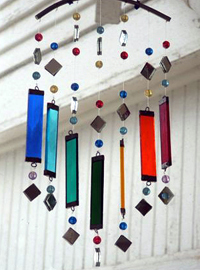 These handcrafted colorful mobiles are one of our most popular items! Each of the seven major chakra colors are represented in beautiful cut glass with glass beads and diamond-shaped mirrors. A lovely addition indoors or out!